After I attended TEDxRyersonU in November, I found my inspiration to write my own talk. This might be a shorter version of my own. Still inspiring and I’ve been saying it for years. Great way to start the new year: Don’t be normal, be extraordinary. I was reminded of this talk a couple of weeks ago when I suggested this to a group of students in a colleague’s class. They did a video with one of the members dancing behind strangers a la Ellen Degeneres. In one instance, someone started dancing with her. I had them look up this short talk before they gave their final presentation to the professor. This is one of the shorter talks, but definitely a keeper. Enjoy. I first saw this Talk at TEDxRyersonU last year. I’d heard much about it, but hadn’t watched it yet. Since then, this is certainly one of my top 5 TED Talks. The quality isn’t the greatest, but it’s still good enough to hear. Simon is so enthusiastic about his talk that you can’t bear to look away. The idea that people don’t buy something because of what it does, but because of the design sounds crazy, but it’s true. And he proves it through stories of some of the greatest companies and people in history. Many people don’t want to hear it, nor believe it, but isn’t that what these talks are all about? To challenge us. That’s what Simon Sinek does here. After last weekend’s TEDxRyersonU, I was not only inspired to write my own TED Talk, but to share with my readers some of my favourite talks. There is so much great content on this one site, that it’s impossible to see them all, though, I’m certainly going to try. This has been a bit of a lofty aspiration, so I’m going to dedicate myself to watching it more frequently and sharing my favourites in a new feature called “TED Tuesdays”. Starting next week, tune in here for some “Ideas Worth Spreading”. Thomas is a student at Ryerson University in the Business Technology Management program. He’s not your typical student since he’s done more in the time I’ve known him than most professionals. Through the co-op program, he’s worked for CIBC as well as StickerYou. He’s volunteered for the TO Tech Meetup and two of the three years of TEDxRyersonU. For the latest one, held this past Sunday, he was the curator. All this and he still has time to support the ITMSA. I had the pleasure of meeting his parents at TEDxRyersonU and congratulated them both. I told them they should be very proud, because he is truly a gem. Any company that picks him up after graduation will be lucky to have him on board. I wish him luck in his studies and future endeavours. Whatever he does, it will be truly great. I can bet on it. Follow him @TommyGee. 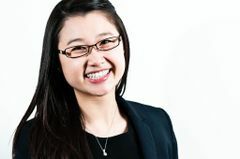 Jany is another great student at Ryerson University in the Business Technology Management program. I push her pretty hard and try to be a good mentor to her, and she always rises to the occasion. I know I owe her a recommendation, so hopefully this will do the trick. In a previous post, I talked about TED Talks and since TEDxToronto is going on today, I thought it fitting that I give a Follow Friday to them. I have to thank one of my friends who is a nurse for introducing me to TED Talks a few years ago. We were both students and not just at university and it was truly a wonderful thing to behold. Imagine, broadening your mind, one talk at a time. Just 20 minutes (or less) to change the way you might think about something or introduce you to something you may not have known anything about. One of the highlights of this was that it gave my father and I fuel for discussions that I always enjoyed. The way I explain it to people is that TED is like a think tank, but an open one. You may have to be invited to sit in the audience or pay a lot of money to be a member, but all the talks are made available on their website for free. You can download them in podcasts which I sync on a regular basis to my iPod. Now, I don’t watch his show all that often, nor am I a cooking connoisseur but it continually inspires me to ask questions. If you’ve ever had me at an event or in a class, now you understand from where it stems. One of the great ideas that TEDxToronto had for their presentations today was to have viewing parties around the city so that if you didn’t make it into the main one, you could go to one of the satellite locations. I was fortunate enough to attend the one at the Daniels Spectrum in Regent Park. The added value that I got from this venue was that we got our own live presentations, mostly from people from that neighbourhood. So not only did we get the live feed from the main event, we had our own little intimate presentations. Really some seriously talented people. Unfortunately, I had to leave the event early, but caught the rest of the event on my computer from my office because it was running late. I know that one of the talks from today that I will certainly be putting in front of my father from today for our discussion is the one by Shawn Micallef. Make sure you catch this one when it gets posted. For those who didn’t get a chance to be a part of TEDxToronto today, or TEDxRyersonU next month, fear not! All of them are taped so you can view them later and the quality is amazing. Please give TED, TEDxToronto and TEDxRyersonU a follow today and all of their presenters. And if you haven’t already done so, and I’ve convinced you, get your application in to TEDxRyersonU. Hope to see you there. I love attending panels. The topic isn’t as important, but the discussion is. Attending a talk with one individual is great, but if you have a few people with different points of view to bring their knowledge to the table, even better. I attended one in particular called Panel on Panels thanks to Alex Blom. Now, sounds like a joke, right? Maybe so. As entertaining as it was, I actually learned a few things, not only about attending a panel discussion, but also how to go about running a successful panel, from being a moderator to organizing one to being a panelist. 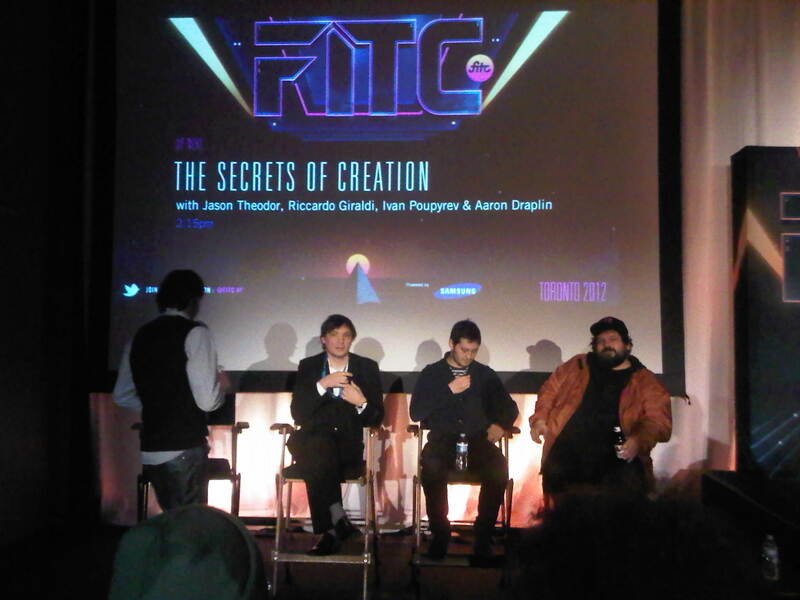 I was reminded of this event when I attended a panel at FITC Toronto because the moderator, Jason Theodor was so well prepared. If they have another one, I’ll be first in line. One thing I’ve learned on my own: always have a question to ask. You may have one prepped from before based on your research or maybe from something that is said during the main discussion. I have a favourite that I like to ask of every panel I attend. I figured it out while attending a discussion on mentorship presented by Women in Information Technology Management (WITM) at my alma mater, the Ted Rogers School of Management at Ryerson University. I had graduated from the program a couple of years earlier and there were a number of current students in the room. I asked of the panel: “If there was one source, such as a book, blog, website, etc.) that you would recommend to everyone in the room, for whatever reason, what would it be and why?”. I’ve gotten some pretty interesting answers, but a couple of weeks ago at FITC Toronto, I asked one panelist after the presentation this question and got a surprising answer. The topic of the discussion had been about creativity and I asked the engineer of the team who was originally from the Soviet Union, Dr. Ivan Poupyrev. His answer: Crime and Punishment by Fyodor Dostoevsky because (and I’m paraphrasing) Dostoevsky knows how to tell a story of angst and the trials and tribulations of life. A real story about suffering. Of course I’ve heard of the book, but know it’s on my list to read. Though I’ve never participated on a panel (it is on my bucket list), I really had to think hard about what my own response would be. It took me a while, but then I figured it out: TED. It is full ow wonderful and amazing stories that teach, among other things, that anything is possible. If you want an eye-opening experience or need inspiration, Check it out. If you get me on a panel some day, ask me that question and I’ll tell you about my favourite TED Talk.